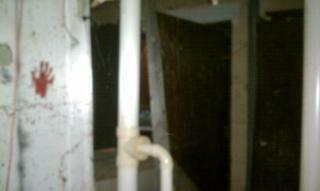 This was taken on the the 2nd floor of Waverly Hills. in this room, people have reported a boy named Timmy who likes to play ball. Could this be who we captured standing next to one of the tour volunteers? 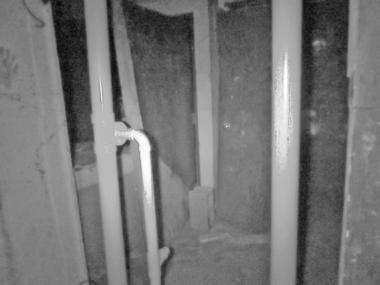 This is taken in the upstairs apartment. There was a secret room in the back of this closet. This one has also been analyzed and is not matrixing. Besides the face, there is a haze around the face that did not appear in any other pictures. 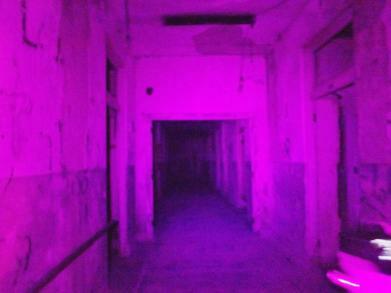 The first picture was taken while I was walking down this hallway by myself. Someone appears to be taking a look. Two pictures were taken of a side room in between these two pictures. 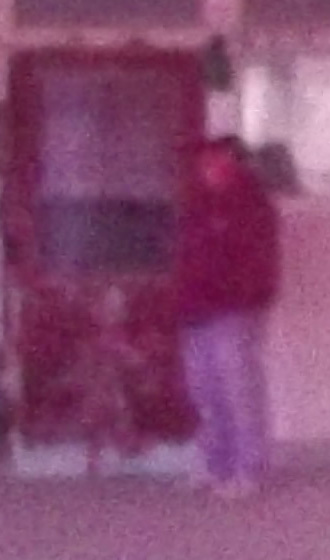 Now I am about ten feet closer and the person appears to be peaking from the other side of the doorway! Who's that peeking out at us? These 2 pictures were taken in succession. 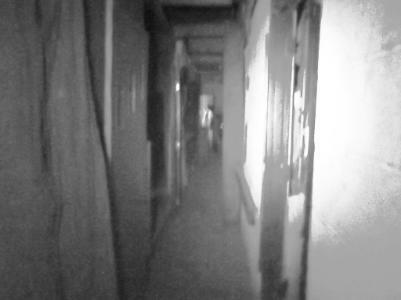 Although difficult to tell here, the one above shows 2 shadow figures down the hall. Then the lower one was taken. Now it looks like a child next to an adult in a white smock. 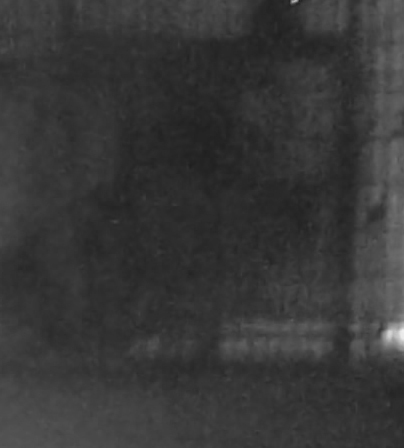 This is from a full spectrum camera capturing mostly IR light and red light from an EXIT sign. 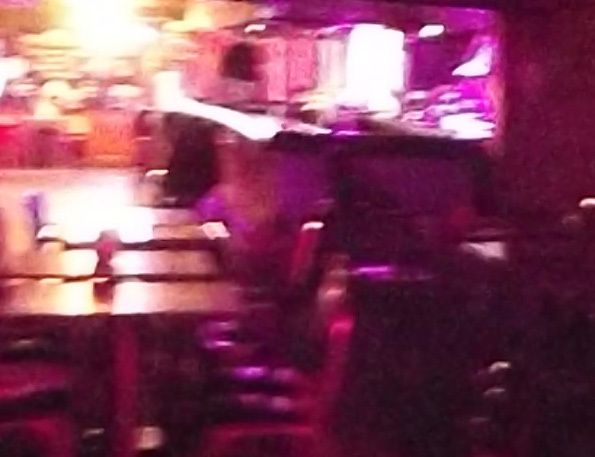 Bobby Mackey's - There is someone sitting at the far table, but no one else was in the bar with us. 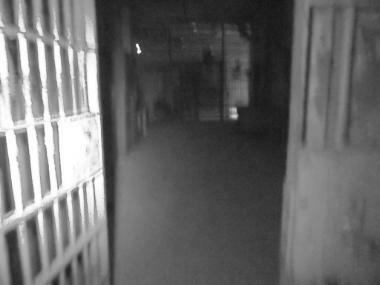 This is a common area to see multiple spirits. Wonder who was checkng us out? 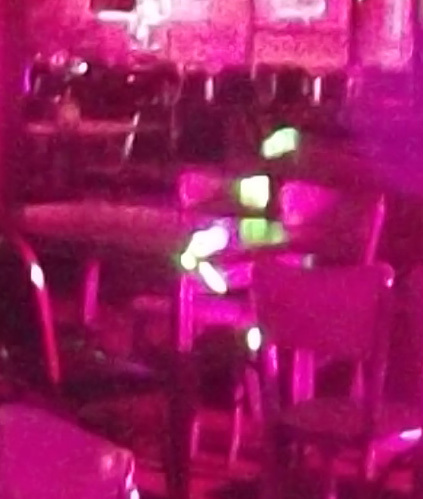 Notice the way their arm is on the table and they block out the dark barstool and corner of the bar behind them. 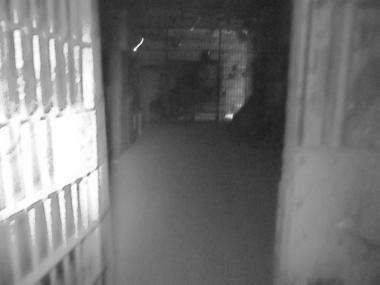 This picture also was verified by www.arcohio.com with full analysis on their web page. This a series of 3 pictures taken in a row with a full spectrum camera. 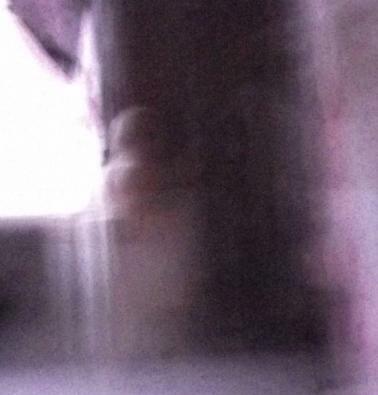 The first picture shows a humanoid shape carrying something with glowing eyes. This figure stays fairly consistent through all three shots. 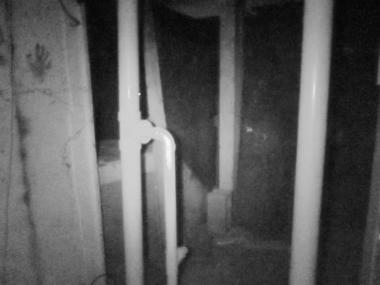 In the second picture 2 faces appear to the right of the white PVC pipe. 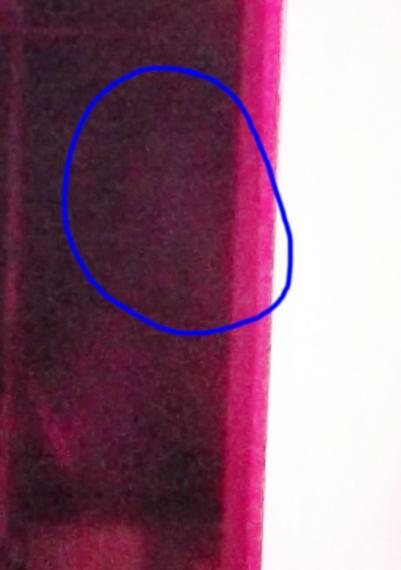 You can clearly see how the pipe shadows the lower face in the middle of the picture. By the third picture, the upper right face appears more with everything else staying fairly consistent. The glowing eyes are a bit creepy. The fourth picture is actually the third picture with the shadows lightened. This allows you to see the faces more clearly. I cannot explain this series of images. While somebody else may be able to debunk them, I have been unable to come up with any natural, logical explanation. 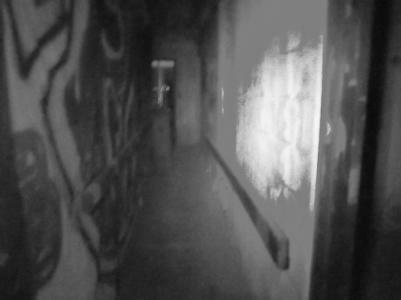 Thank you to Michele at MIGS Paranormal for finding the spot where my pictures were taken and sending me a baseline picture. 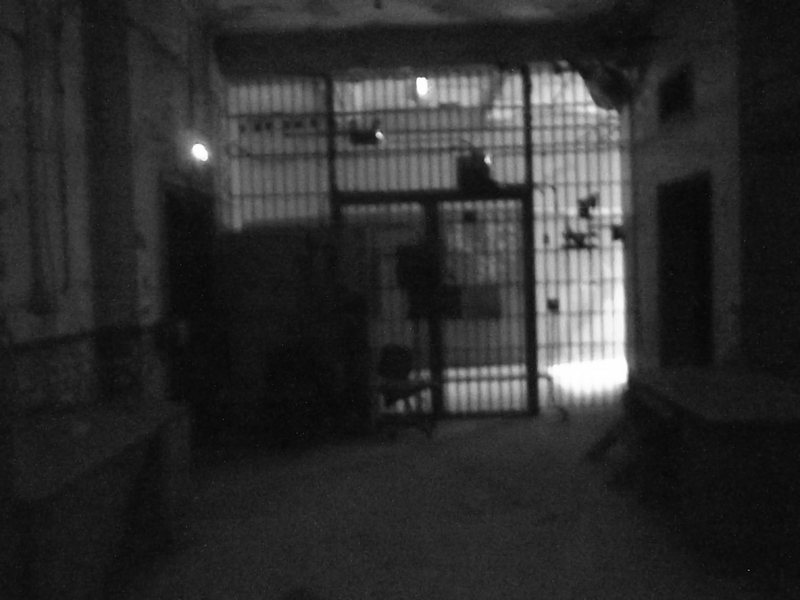 They are the resident paranormal group for Ashmore Estates. The first two pictures are baseline pictures for comparison. 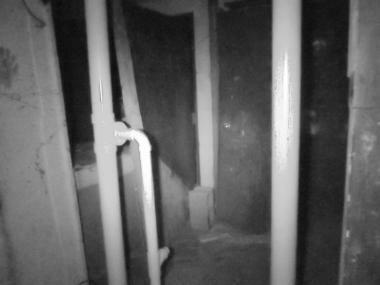 You can see there are items at the end of this hallway, but their details can be made out clearly including the bars of the door. The third and fourth picture are taken in succession at a later point in the evening. This was after we were experiencing activity. In the third picture, there is a haze forming in the middle starting to obscure the items. By the fourth picture, it seems to be more solid. The final picture is a close up of the haze from the fourth picture. 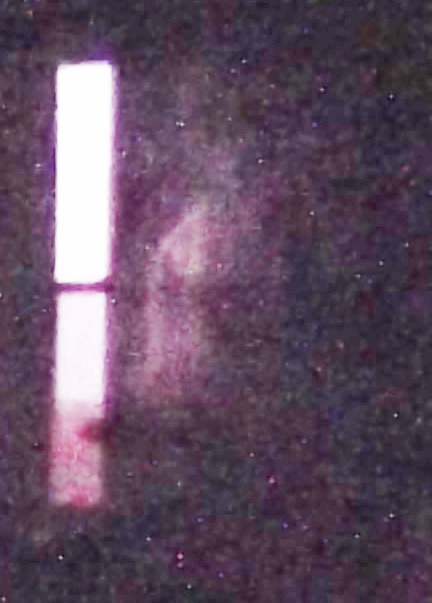 It appears to have a humanoid form. the two legs are probably the easiest thing to pick out. 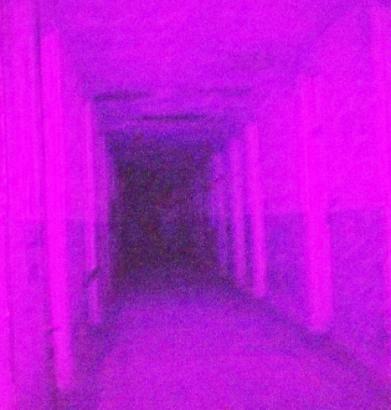 The picture above was taken first with a full spectrum camera. It is easier to see the anomaly by converting it to black and whiteand then zooming in for the third view. The picture to the side is taken 30-60 seconds later. The speaker has moved and now uncovered his drum and cymbil. The face has morphed now into what appears to be one face on topof another. 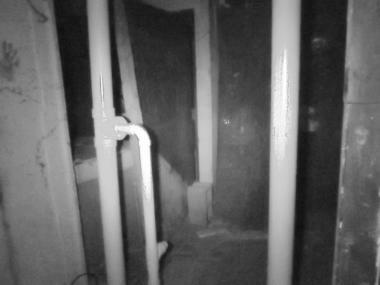 These pictures were meant to be taken of the speakers, not to nessecarily to catch something paranormal. That is why they are not in quick succession.